I’ve never been a big fan of flip flops, those ubiquitous summer sandals that attach with little more than a foot-tickling piece of material between your big and second toes. One of the main reasons is that they are terrible for your feet and lower legs. 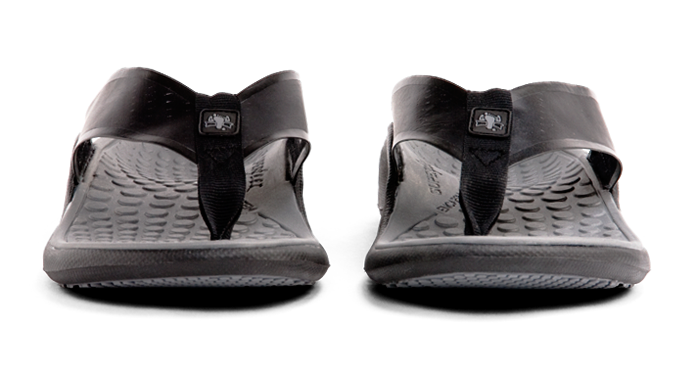 Now Superfeet has attempted to address this problem with its innovative FLP sandals, a line of flip flops that incorporate the same support technology used in the company’s line of shoe inserts. Whatever the case may be, it’s safe to say that if you’re a die-hard flip-flopper, these are the ones I’d recommend.